At Happy Faces Child Care Centre, our philosophy and goals are represented throughout the centre’s curriculum and the interactions staff have with each other, the families and the children. We believe early childhood education lays a foundation for their future, maximizes their ability and respects their identity and language. This is acknowledged through the Code of Ethics and the Early Years Learning Framework which characterizes children’s lives as belonging, being and becoming. At Happy Faces we recognize children belonging to a family, cultural group and wider community. Being is the present and how, together, we can prepare children for the future. Becoming is acknowledging the rapid process of children learning and growing. At Happy Faces Child Care Centre we recognise that families are children’s first and most influential teachers. 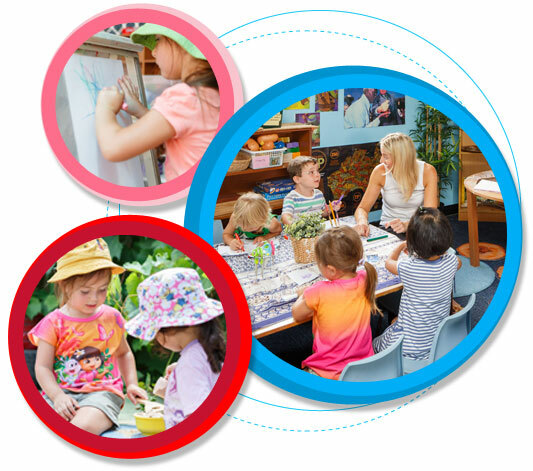 We aim to create a welcoming environment where all children and families are respected and actively encouraged to collaborate with teachers about learning experiences which are meaningful to their child. Our aim is to build genuine partnerships where we value each other’s knowledge, build mutual respect and trust and communicate freely to engage in shared decision making. Each partnership is unique and will be dependent upon the specific needs, interests and communication styles of each and every family. Families are actively encouraged and assisted by teachers and management to participate in the daily life of the centre, to enrich the curriculum and foster a sense of community within the centre. Our philosophy is based on the belief that both parents and educators can work together as a team in making decisions about the operation of our service in order to achieve the National Quality Standard and to further improve quality at Happy Faces. Our aim is to ensure the guiding principles of the National Quality Framework inform the delivery of our early childhood education curriculum. The rights of the child are paramount.